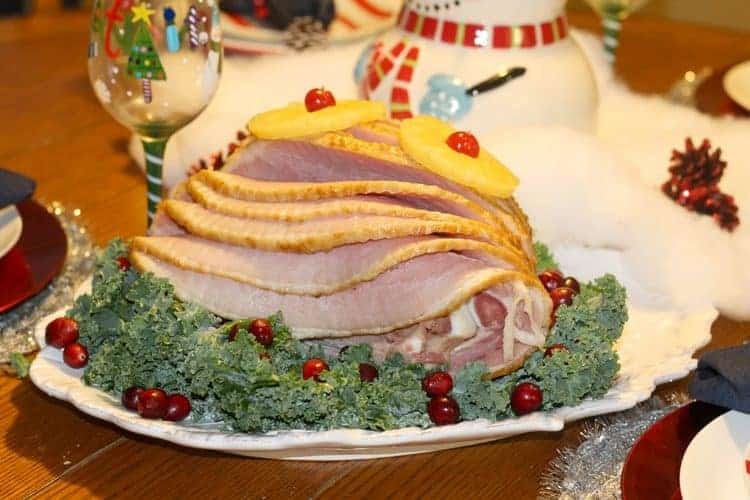 Last week, I shared with you a delicious honey glazed Ham recipe to serve as a main dish for your Christmas dinner or Thanksgiving. To accompany this dish, I made this candied sweet potato casserole. I usually try to reduce sugar, but I was tempted to add some mini marshmallows. Just to put a different spin on a regular dish. After all Christmas is once a year, and we have the right to indulge, test new things and get out of the ordinary. You may think that sweet potato is sweet enough. Yes, it’s true but marshmallow will add that sweet sugar, melty taste to please those little pallets and older ones. Let’s see how you can prepare this Christmas side dish for your guests and family members. Preheat oven to 325 degrees. Prep casserole dish with Pam spray. Put skinned and cubed sweet potatoes in a saucepan full of water. Cover and cook until tender. Drain and set aside. Mix sweet potatoes, sugar, eggs, salt, four tablespoons of butter, milk and vanilla extract into a large bowl. Using another bowl cut the remaining butter and mix in with the pecans and marshmallows. Sprinkle the pecans and marshmallows over the sweet potato mixture in the baking dish. Bake at 325 degrees for 30 minutes. Remove from oven allowing to cool slightly before eating. Voilà! A spin on a regular dish that will sure impress your visit along with your honey glazed ham. 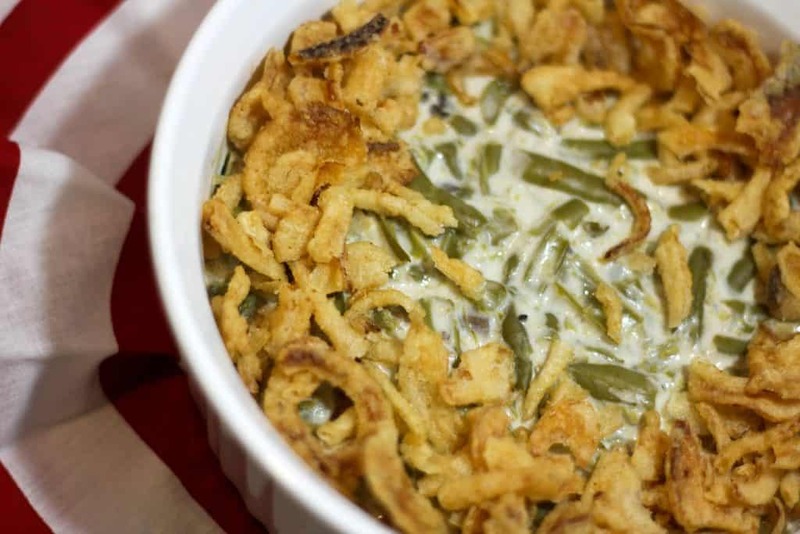 Along with this candied sweet potato casserole, I made a delicious green bean casserole. Make sure to come back next week to get the recipe. Have you ever made candied sweet potato casserole? What do you put in yours to make it extra special? Tell me in the comments! Sweet potato casserole just might be my favorite food ever! 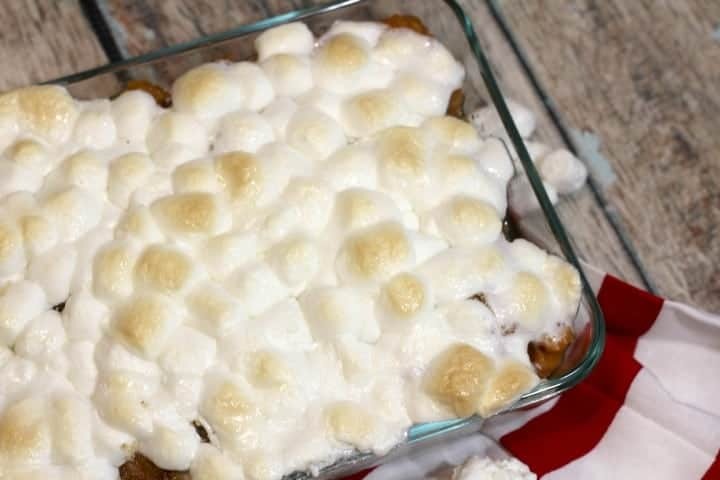 I have never tried sweet potato casserole but it is something that I really want to try. I only started eating sweet potatoes recently. I have always loved candied sweet potato casserole, but I’ve never fixed it before. Thanks for sharing the recipe! I love this Sweet Potato recipe and will have to make it for the Holidays. It looks so easy and fun to make. Thanks for sharing. This looks so delicious!!! My friend makes a similar dish every year for our pot luck and I love it! I am not a fan of sweet potatoes, but this really looks good. My Mom and Nana would really enjoy this! This sweet potato casserole looks amazing. The mini marshmallows make it look so pretty and even more delicious I’m sure. I’ve never seen or heard of this dish before — looks interesting! I can’t wait to make this dish! 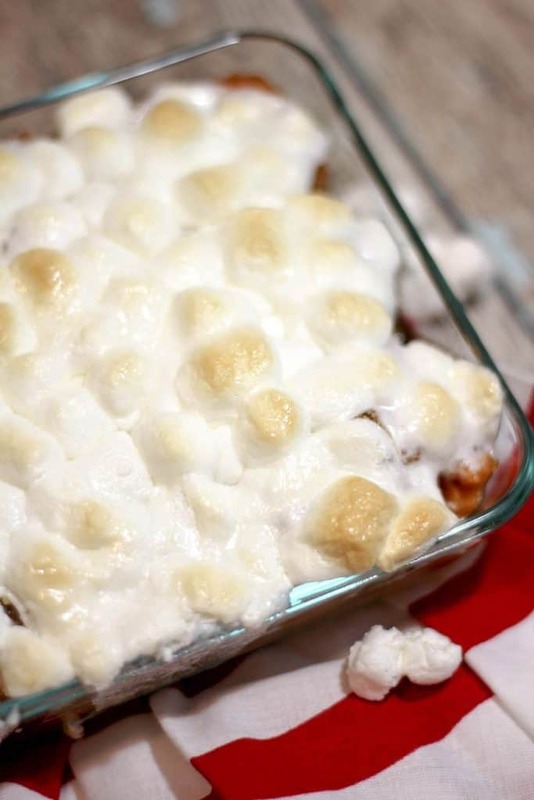 The combination of sweet potatoes, pecans and marshmallows are pure heaven! Thanks for the recipe! Oh man everything looks great. Those marshmallows on the potatoes though, send me over the moon. I love that flavor combo. These look delicious! Sweet potatoes are one of the best parts of the holidays. In my house, sweet potato casserole is almost as popular as turkey! That looks like a great recipe. I remeber having a dish like this once and i loved it, thanks. I can’t wait to try this.